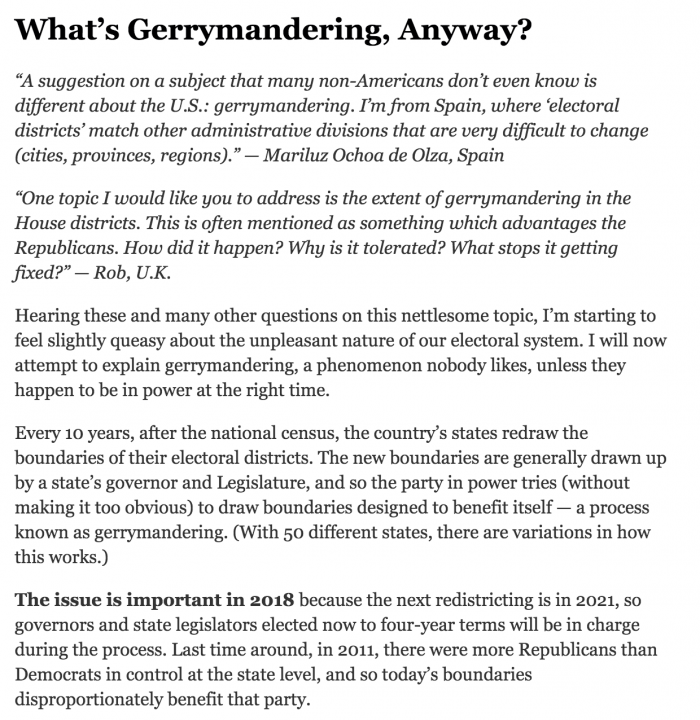 Oct. 24, 2018, 9:43 a.m.
People from 433 out of 435 congressional districts have signed up for ProPublica’s User Guide to Democracy, reporters from the Philadelphia Inquirer and the New York Times want you to text them, and more. By Christine Schmidt @newsbyschmidt Oct. 24, 2018, 9:43 a.m.
National elections are, alongside the Olympics, the premier staging ground for American media experiments with technology and formats. (Both are really big events, scheduled years ahead of time, that produce a ton of real-time data to crunch and present.) The midterms are an opportunity to test what works — and what flops — halfway through Trump’s first term, with (hopefully) a substantial swath of America heading to the polls November 6 to vote for governors, senators, congresspeople, and various other local officials. Innovative coverage of the 2016 election featured Slack tools, podcasts, and even a quasi-time capsule. But those are so 2016. 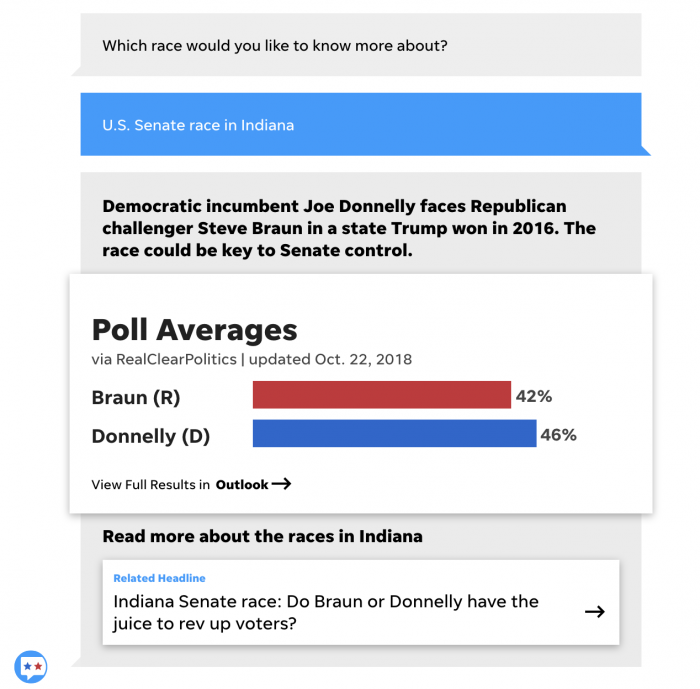 In this election cycle, news organizations are leaning on email newsletters to explain the first nationwide Election Day since “President Trump” became a reality, as well as on text-in-your-question experiments and collaborative efforts like Electionland 2.0. Prepare to destroy your inbox — with good political content. The New York Times and The Washington Post each launched newsletters behind various faces of the organizations to decode the day-to-day of the races. 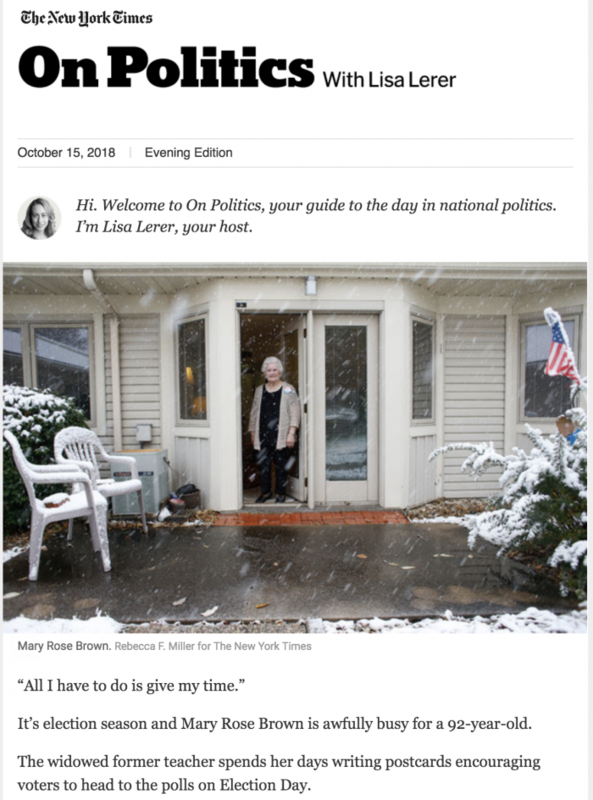 At the Times, Lisa Lerer (disclosure: a 2018 Nieman Fellow) is “hosting” On Politics, a new morning briefing and evening sit-down email billed as “a spotlight on the people reshaping our politics. A conversation with voters across the country. And a guiding hand through the endless news cycle, telling you what you really need to know.” Those are a lot of promises, but it’s in line with the we-are-your-guide mode the Times has been in. It’s a little more touchy-feely than your typical political newsletter: Following some analysis in the intro, Lerer often has Q&As or reflections with Times political reporters, and she opened the newsletter’s inaugural issue with politicians’ personal tales of starting something new, from Newt Gingrich to Elizabeth Warren. Lerer’s email will be sticking around after the campaigns formally wrap up (there’s always another race just around the corner), but the Times has also launched a limited-run newsletter — more below. The Lenfest Local Lab and the Philadelphia Inquirer’s innovation desk, respectively spearheaded by the now-sunset Guardian Mobile Innovation Lab‘s co-leader Sarah Schmalbach and Inquirer audience and innovation managing editor Kim Fox, built a texting product via GroundSource for The Inquirer’s Jonathan Lai to break down campaign issues with residents. 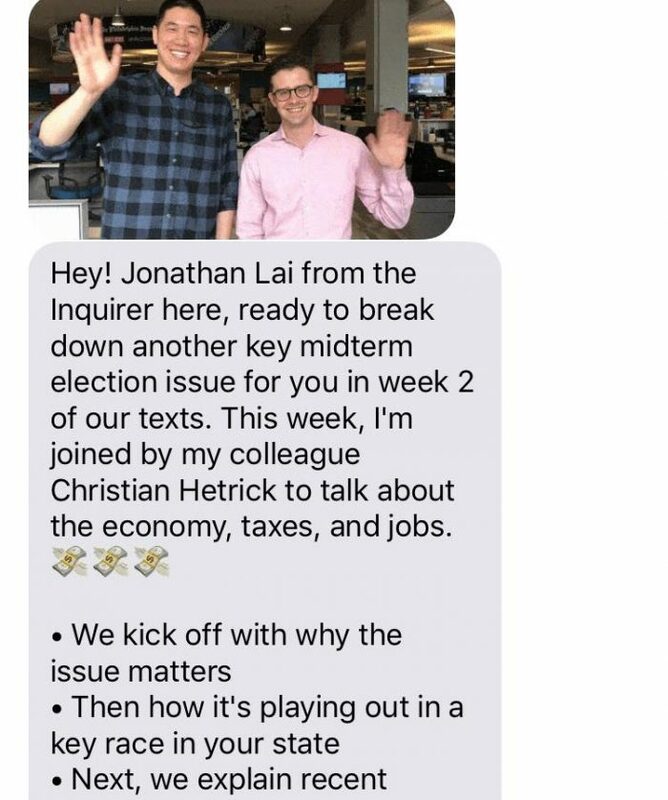 Participants opt in for daily texts related to New Jersey or Pennsylvania elections (since Philly rides the Pennsylvania border) that share context about an issue like gun control in the New Jersey Senate race and link to an article with more details. 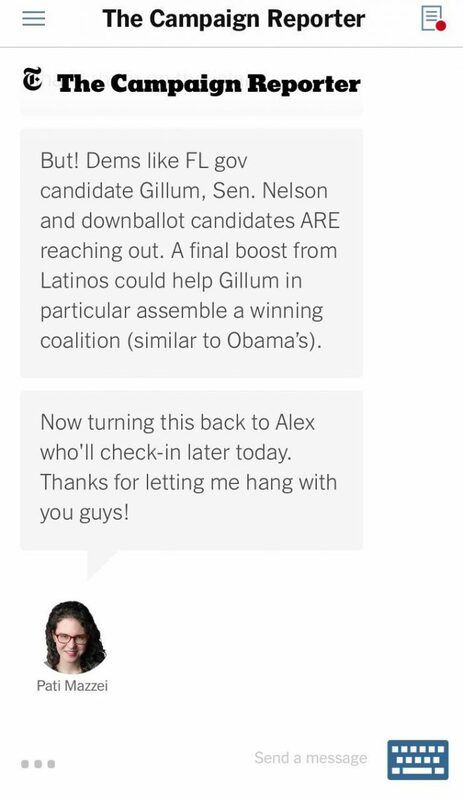 The New York Times is also inviting readers to message with a reporter following the campaign, though via its app instead of SMS itself. 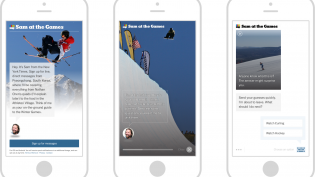 The Times tried that with the 2016 Summer Olympics but ran into scaling-SMS costs, so it just stuck the messaging experiment into its app for the 2018 Winter Olympics and is continuing it in the same space this fall. National political correspondent Alex Burns is the face of the messages, with some Times guest hosts. 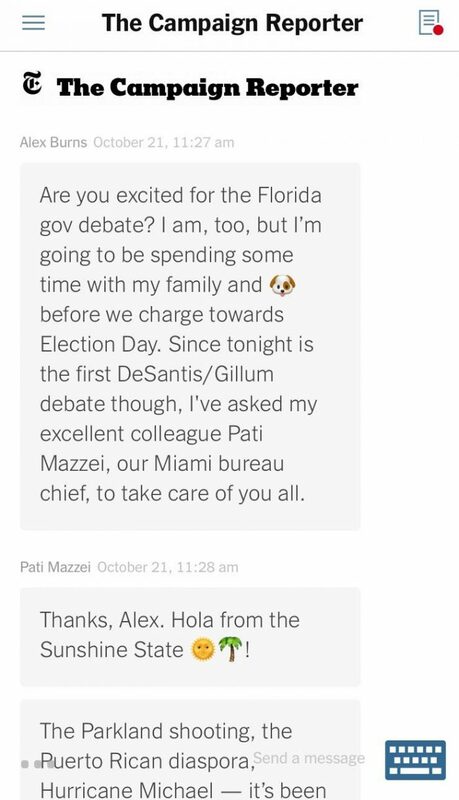 USA Today also recently introduced an elections chatbot on its apps and desktop, leveraging its national network of local outlets. 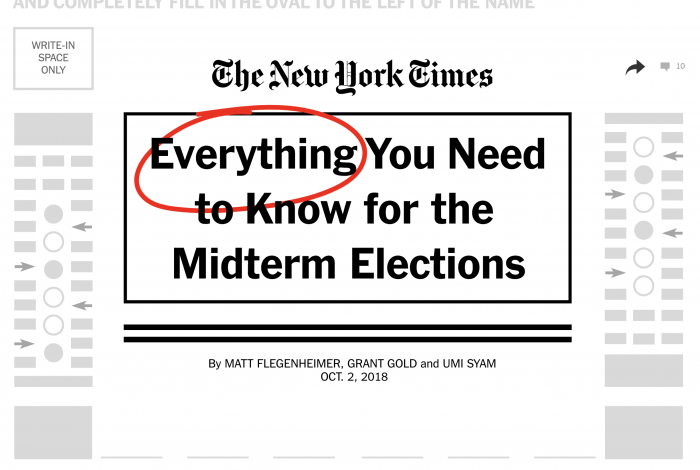 Hot Pod chief Nick Quah rounded up the podcasts to keep an ear out for these midterms, from The New York Times to Vox Media to how Crooked Media’s Pod Save America used podcast adtech to target listeners with voter registration information specific to their state. The Times’ audio team isn’t producing a special standalone series for the elections again — hat tip to The Run Up — opting instead to funnel its midterm coverage purely through The Daily. NPR’s politics podcast team is tentatively planning to drop several special episodes in the lead-up to the midterms, particularly in the week of the elections itself. 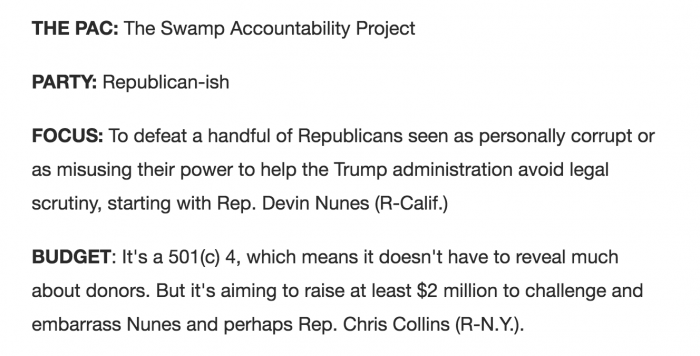 That team is already well engaged in a broadcast crossover called The Politics Show from NPR. Meanwhile, expect election-themed episodes from Hidden Brain and It’s Been a Minute, along with a timely investigation from Embedded on a ballot initiative that could restore voting rights for 1.5 million felons in the state of Florida. Slate “see[s] the midterms as a play for audience development,” senior producer T.J. Raphael said, with special projects ranging from a partnership with Glamour magazine, Slate Political Gabfest hosting David Axelrod in a special episode, its tech podcast producing an episode focused on what social media companies have been doing in the wake of the 2016 presidential election, and a live show staged in Brooklyn on the Friday after the midterms. Vox Media’s Podcast Network is featuring special guests on its podcasts like Hillary Rodham Clinton and Los Angeles mayor Eric Garcetti on Recode Decode and Rebecca Traister and Nate Silver on The Ezra Klein Show, and Today, Explained and The Weeds producing special episodes on electoral strategies and midterm policies. Voter guides — find your polling place, judges to vote for, etc. — and endorsements are as bread and butter as Cracker Barrel for local outlets. 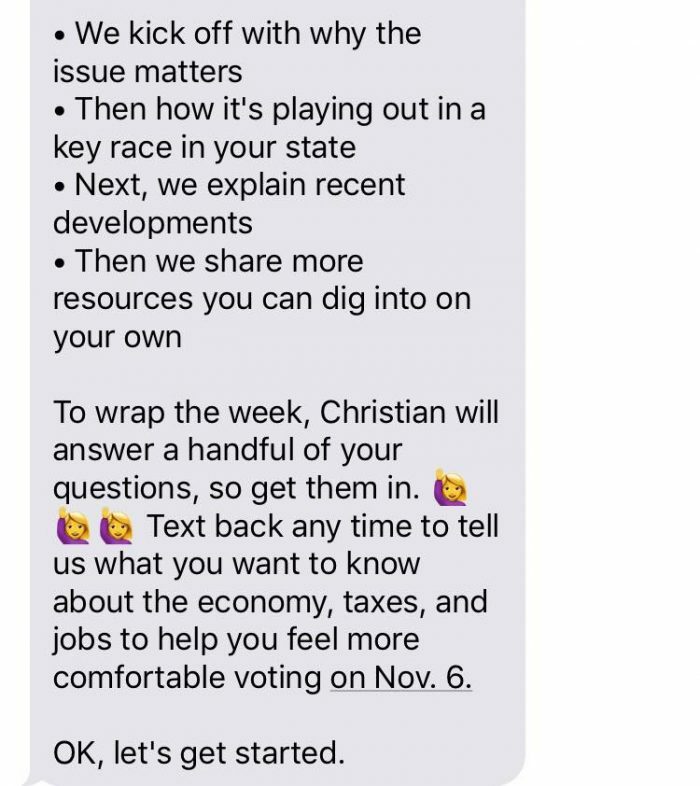 See KPCC/LAist’s Human Voter Guide for a FAQ with some real homo sapiens and using Hearken to add followers’ wonders as well. Just how curious is the @KPCC @LAist audience? The Human Voter Guide generated “at least 157 questions since August 2 (half through Hearken, the other half through GroundSource, social media, and in person),” Alvarado tells me. The Washington Post set up a guide for the most important deadline before Election Day itself: how to register to vote in each state, serving double duty as info about voter suppression and a service about what you need to vote in your state. The New York Times has a ballot-style FAQ interactive about the midterms in general (“Does my vote matter?”). But other media organizations are thinking outside the ballot box: ProPublica and The Skimm are both pushing go-participate-in-your-democracy-goshdarnit efforts. ProPublica created a User’s Guide to Democracy, an eight-part series sent out to 6,615 newsletter subscribers starting in September with a 30-40 percent open rate. 69 percent of the subscribers were totally new to ProPublica’s database, ProPublica’s PR head Minhee Cho told me, and it’s reaching voters in 433 out of the U.S.’s 435 electoral districts. The first installment to our User's Guide to Democracy is now live! In the 2016 cycle, The Skimm said it registered 95,000 women to vote in its No Excuses non-partisan campaign. (Remember: That race was decided by 80,000-ish voters in swing states.) This year’s revamp comes with a target number of 100,000 people signed up — and actively voting. The Skimm is devoting more resources to this platform this cycle, with a flashy website to see sample ballots and learn about the issues, celebrity partnerships, its first swag for purchase (instead of swag awarded for newsletter referrals) and delegated GOTV captainships among its Skimmbassadors. (Yes, that’s still a word.) At least 40,000 people have committed to voting through the No Excuses platform, and 55,000 people viewed their own sample ballot within 24 hours. 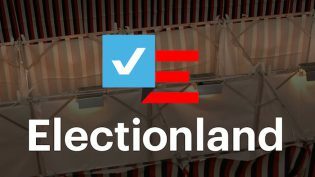 One of the biggest splashes in the 2016 cycle was Electionland, a thousand-person effort spearheaded by ProPublica and carried out by teams of journalists across the U.S. to monitor and verify reports of Election Day voting problems. 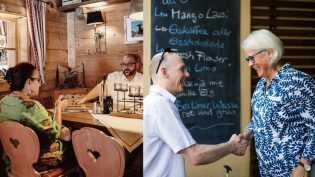 The army of Electionlanders sorted through nearly 1,000 tips on its phone line and more than 3,000 SMS messages, in addition to some 800 from social media platforms. The 2018 version is similarly recruiting journalists to participate in day-of election integrity issues, in an environment where some gubernatorial candidates oversee voter registration in their own tight races. Santa Monica’s KCRW and West Virginia Public Broadcasting teamed up for weekly conversations among its politically variant listeners (they’re not the first nor the last!) in a series called Red State, Blue State. “‘Red state’ host of West Virginia Public Broadcasting’s podcast Us & Them, Trey Kay, spoke with his cousin Hollis Jones, a mechanic, about his take on the Golden State. And ‘blue state’ host Chery Glaser talked with Connie Hoy, who grew up in the Mountain State but left years ago, and lived in Northern California for quite some time,” West Virginia Public Broadcasting explained the series to its listeners. The Post’s Heliograf can formulate stories based on simple data points in repeated story circumstances — like Olympic medal tallies or Mad Libs, one might say. 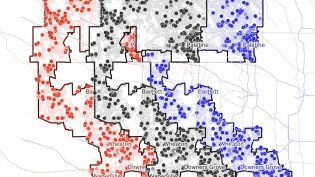 It’s back for the 2018 election “to help tell election stories at the district level, such as details about current office-holders, their challengers, key voter information and the district’s voting history,” according to the Post’s announcement. 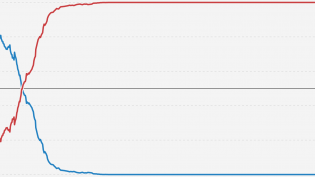 We conclude with the aforementioned needle. We’ve written about The New York Times’ decision to show its polling results in real time, phone call by phone call. Maybe the transparency will help ease needle anxiety…maybe not. Election night 2016 needle (showing projections for Florida circa 7:59 p.m.) via The New York Times. POSTED Oct. 24, 2018, 9:43 a.m.
Schmidt, Christine. "A referendum on media experiments? Here’s what news organizations are toying with in the 2018 election cycle." Nieman Journalism Lab. 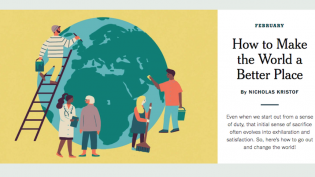 Nieman Foundation for Journalism at Harvard, 24 Oct. 2018. Web. 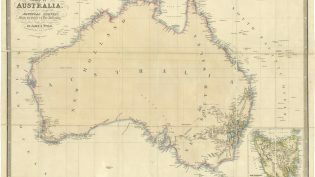 19 Apr. 2019. Schmidt, Christine. 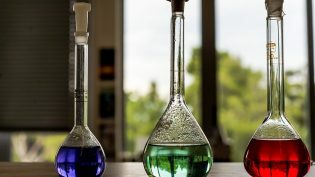 "A referendum on media experiments? Here’s what news organizations are toying with in the 2018 election cycle." Nieman Journalism Lab. Last modified October 24, 2018. Accessed April 19, 2019. https://www.niemanlab.org/2018/10/a-referendum-on-media-experiments-heres-what-news-organizations-are-toying-with-in-the-2018-election-cycle/.